The research carried out in Sindh during the last forty years, and the study of the chipped stone assemblages stored in Karachi University collections, show that Late (Upper) Palaeolithic [50,000-10,000 years ago] complexes are known from at least five regions of Sindh. Most sites are located close to good quality raw material outcrops and freshwater sources. Their precise chronology is often difficult to define because they consist mainly of surface lithic scatters or workshops from which datable material is missing. The chipped stone industries of the Late (Upper) Palaeolithic of Sindh are easy to distinguish from those of the Middle Palaeolithic and Mesolithic periods because of their techno-typological characteristics. The assemblages from the southernmost part of Lower Sindh are represented by typical implements, among which are curved backed points retouched from blade-like flakes that are known also from other parts of the Indian Subcontinent. 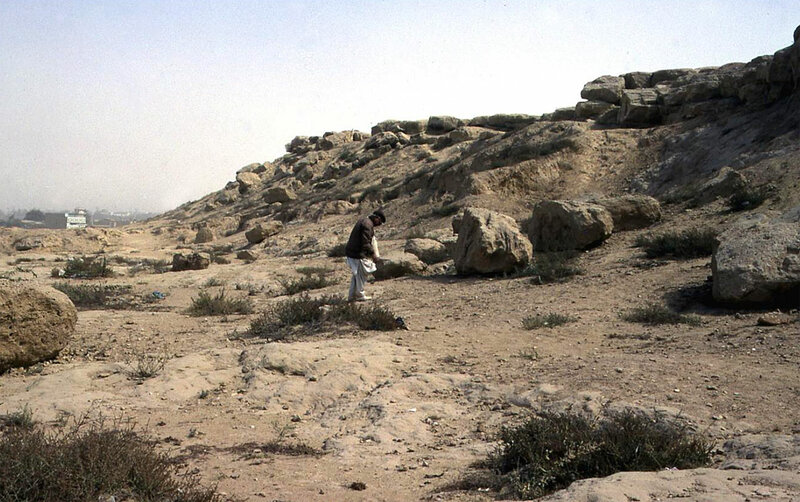 Lithic workshops are very common in the Rohri, Ongar and Daphro Hills. This paper is dedicated to the memory of Professor Abdul Rauf Khan, of the Department of Geography, Karachi University, for his invaluable contribution to the prehistory of Sindh.